Today’s blog is a continuation of the blog series we recently began on this website that highlights our various areas of expertise. Think of H2 Environmental Consulting Services for all your environmental testing, remediation, and management needs. The latest blog, which was the first in this series, focused on asbestos. You can check it out here . Now, with this blog, we’re going to focus in on another key area of expertise: lead. There are many potential sources of lead exposure in American homes including toys, cosmetics, soil, household dust, and pottery. Factors that may increase risk of lead poisoning include age (infants and young children are more likely to be exposed), living in an older home, certain hobbies (making stained glass, jewelry, refinishing old furniture may result in lead exposure), and living in developing countries that don’t have as many safeguards to prevent lead exposure. 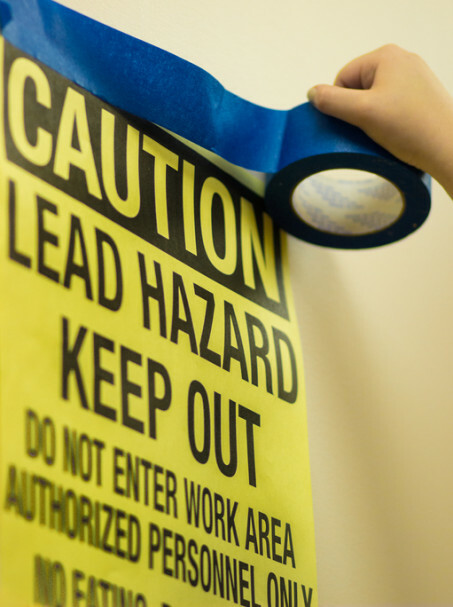 Even low levels of lead exposure should be avoided, as this has been shown to cause harm. If you’re not sure whether your home contains lead, it’s essential that you call H2 Environmental Consulting Services at (800) 524-3578 for a full evaluation of your home. Using the most advances technology and techniques, we’ll test every molecule of your home to determine whether and exactly where lead is present. If you have young children at home, it’s especially important that you make getting your home tested a high priority. If you plan on doing any renovations to your home, make sure your home is lead-free first. You could release lead-containing materials into the air, where they could be inhaled and cause serious harm. Paint chips and dust can settle on the ground where children play, who eventually put their hands in their mouths and ingest the harmful materials. We’ll test your entire home for lead and various other harmful materials such as asbestos, mold, and fungus. Then if we determine that any of these materials are present in your home, we’ll come up with a complete remediation plan. While precisely following all federal and state regulations, we’ll carefully remove all harmful substances from your home so you’ll be able to breathe easy. H2 Environmental Consulting Services has been Southern California’s most trusted environmental management company for over 24 years. Call us if you’re wondering whether your home contains lead—it’s one of our key areas of expertise!